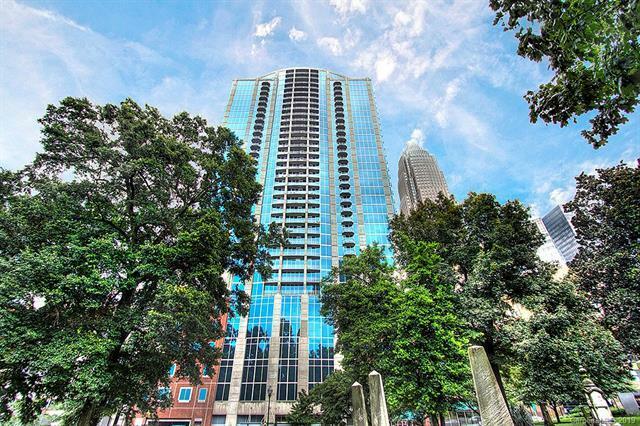 210 N Church Street N #3007, Charlotte, NC 28202 (#3465417) :: Robert Greene Real Estate, Inc. Located in the heart of Uptown Charlotte, this 30th Floor Condo has amazing city views from spacious and private terrace. This condo has a completely renovated kitchen with NEW cabinets, NEW quartz counter tops and stainless steel black appliances. Also new hardwoods throughout the entire condo. Dual vanities in bathroom and extra closet space with new closet systems. Walls and ceilings are refinished. This one shows better than a model!! Condo comes with two large reserved parking spaces on the 4th floor ( #518 & #528 ). Avenue has newly renovated amenities, which are the best in Uptown and include pool, fitness center, theater room and 24 hour concierge. Sold by Best Choice, Realtors.